While it may be a bit early for some, Yakuza fans on Facebook have come together to do something very similar to what SEGA recently did to rally fans of Hatsune Miku. To show their support for the series, the Facebook page Yakuza Fan is urging fans to like and share a specific post to show SEGA that the fanbase is still thriving outside Japan and that it’s worth bringing Yakuza 5 (or Ryu ga Gotoku 5, as it’s called in Japan) over to the West. While a fan campaign in some ways, they’re taking a slightly different approach, but it could get the same results nonetheless. Whether the SEGA post for Hatsune Miku will work or not remains to be seen, but as a fan of the Yakuza series, I applaud the fanbase for their efforts and have already supported this myself. Like them, I also call on fans who are unaware of this to help by liking and sharing the post. Again, this may be a bit too early, and we might be worrying for nothing. Yakuza 5 came out only 3 months ago; each of the other Yakuza entries took about 8 months or so after its Japanese release before SEGA officially announced its localization. However, some are worried because of SEGA’s recent downsizing and wanting to take fewer risks. Another reason to worry is that Yakuza: Dead Souls did not do well overseas. But really, I think no fan is surprised in the slightest, given that it’s a spinoff that even the fanbase is split on. Lastly, Yakuza 5 is huge—no, really, it’s HUGE! From the looks of it, the amount of work it took to get previous Yakuza games here will look like child’s play compared to what this entry will need. So of course, the fans’ reaction has led us here, but in a good, positive way that doesn’t do anything harmful and really only sends out a simple message. Honestly, if you watch the above trailer (which I recommend to see what all the fuss is about), can you really blame them? Yakuza 5 goes even further than previous iterations to expand content. It boasts 5 main city hubs, which is quite impressive, given the sheer size. The combat system looks just phenomenal. It has minigames galore, including idol rhythm games with Haruka, who is playable for the first time, I might add. It’s the total package, as I would say—the game is filled to the brim with content. If you’re a fan of the Yakuza series or simply interested in what you see, like and share the post on the Yakuza Fan Facebook page to give your support to the cause. 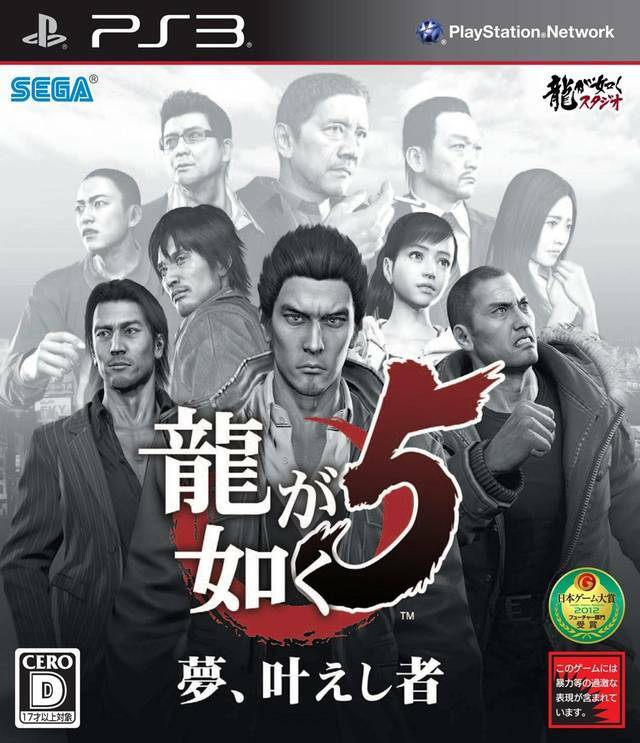 Ryu ga Gotoku 5 was released in early December 2012 for the PlayStation 3.